A Witch brewing gruesome potions in her cauldron is a scary sight, but a witch’s huge black pot in itself can conjure endless evil possibilities. 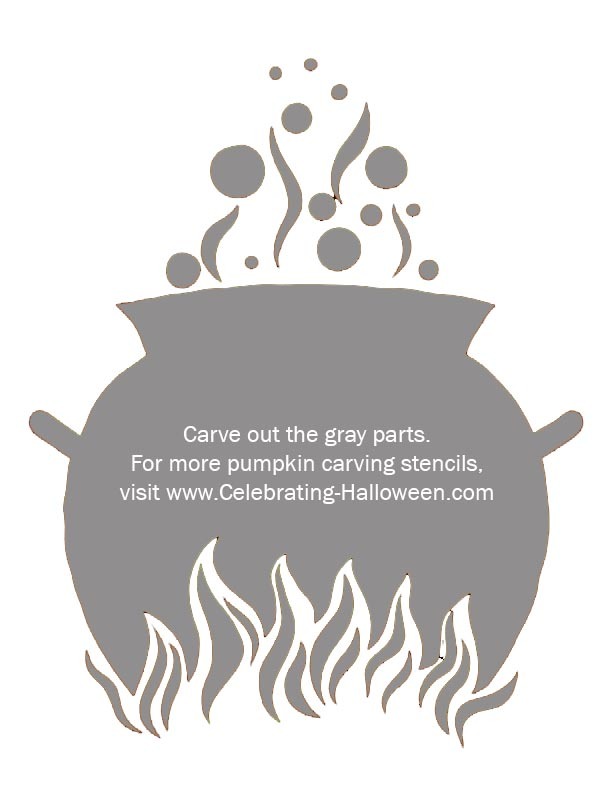 Carve out this cauldron on flames as a stand along pumpkin carving stencil or for a Witch themed Halloween party. A witch’s cauldron contains all kinds of creepy stuff contained within. And the witch’s spells only make the potion worse. Download and print this Witch’s Cauldron complete with fire and smoke, on your Halloween pumpkins this year. The plump pot would look perfect on a rounded pumpkin.